You are here: Home » Blogging » Elevator Pitch for a Blog? You need an elevator pitch for your blog? Well, yes you do! I already state who I am and what I do on the very front of my website. This post is part of the 31 Days to Build a Better Blog challenge. Because I’ve already established my own pitch, and it’s clearly posted on my website, I’m going to be a rebel and talk about the reason why you should have an elevator pitch for a blog. As you can see, I’ve blogged about this kind of stuff before. The elevator pitch may coincide with your site focus and blog pitch, however, it is a part of your marketing and business plans. So, this would probably be the time to stop getting some of these terms mixed up. 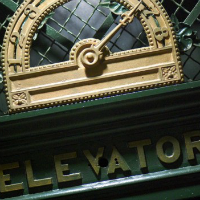 Do you need an elevator pitch for your blog? 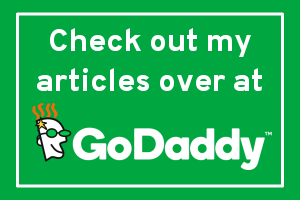 If you don’t have one, you’re going to leave people confused about what your blog is about. Oh, sure, people might read your articles and gain insight of what you’re writing on. However, sometimes people need more clarity. They want to know who you are, and they want to know what the purpose of your blog is. Some of you, who’ve seen or have heard my presentations, and those who have followed my blog for some time, I’ve stressed the importance of telling people these things. It tells you I help people, particularly with improving their websites. Mine is done with flair because it suits my personality. I want people to have a website that really does well. So, you’re probably wondering if that is it? No, it isn’t. The simple persuasive phrase isn’t the only part of the Elevator Pitch. Some people will question things, so you need to have a polished answer that is a little longer. This extended part of the pitch works well in networking meetups, online groups, and even conferences. Often it’s known as a mission statment. I remember when I changed my site focus back in 2009. I had issues coming up with a polished mission statement after establishing a slogan that I loved. I stumbled over my words at conferences. I knew what I did, but I hadn’t established a solid elevator pitch or introduction. I ended up going back to brainstorming and smoother way to say my elevator pitch, without sounding silly. One of my good friends, Kimberly Castleberry had pointed out that she kept seeing a pattern in my work. That pattern was delivering websites that emphasized on getting the client’s visitors attention to subscribe and buy, also known as website conversion. I strive to help people rock out their websites like rockstars! My mission as a WordPress designer and developer, is to design websites that convert. So, you see how I arrived at my own elevator pitch. All you need to do is sit down and brainstorm exactly what you’re offering, and alter it to fit you. Remember, you’re going to have to get comfortable saying your elevator pitch. Test your taglines by saying them out loud. Think about whether they flow off the tongue, are understandable, and still suit your personality or your business’ mission. Once you’ve established a pitch and mission, practice it. Learn it. Love it. If it still seems awkward, then go back to the drawing board. Do you have an elevator pitch for your blog? If not, was it due to lack of knowledge about it, never thinking you needed one, or you’ve had trouble putting an elevator pitch together? An elevator pitch comes in handy in a lot of different situations. An elevator pitch will cause your readers to want to learn more. An online equivalent to an elevator pitch can be used on your about page, your website tagline, and on social media platforms in the about section. In addition to helping you communicate with others about what you do, it’s important to have an elevator pitch for your blog because writing one will help you become clear about what it is that you’re trying to accomplish with your blog. Eventually, thanks for revealing a light on this topic. I have read out this post and found very wonderful post about elevator pitch that may help you to learn more about different kind of post. Thanks a lot for sharing with us. This is nice post for better elevator pitch for a blog and thanks a lot for sharing with us.